Add a New Wave of vibrance to your table setting with this innovative flatware collection. 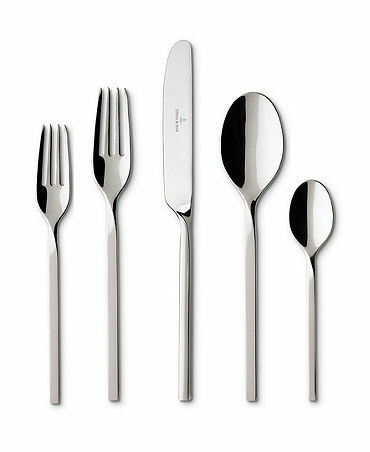 Distinguished by modern design with thin handles, this flatware works with a variety of table settings. The 64 piece set includes 12 of each: Dinner fork, salad fork, dinner knife, soup spoon, teaspoon, plus a 4 piece serving set.